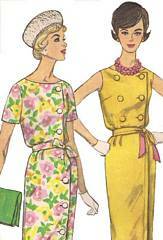 Early 1960's Misses' One-Piece Dress pattern. Dress has lowered neckline, slim skirt with soft pleats at front waistline and back kick pleat. 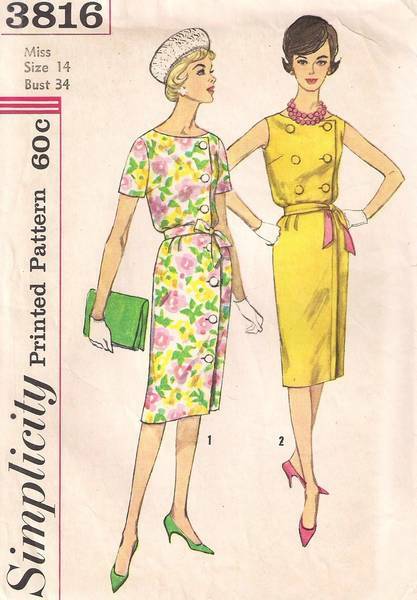 Can be made with full-length button closing at the side front or button closing at just the bodice side front with button trim giving a double-breasted effect. Self fabric tie belt.